﻿ Adi Dharma Hotel, Bali | FROM $28 - SAVE ON AGODA! Have a question for Adi Dharma Hotel? "Good hotel with great staff." 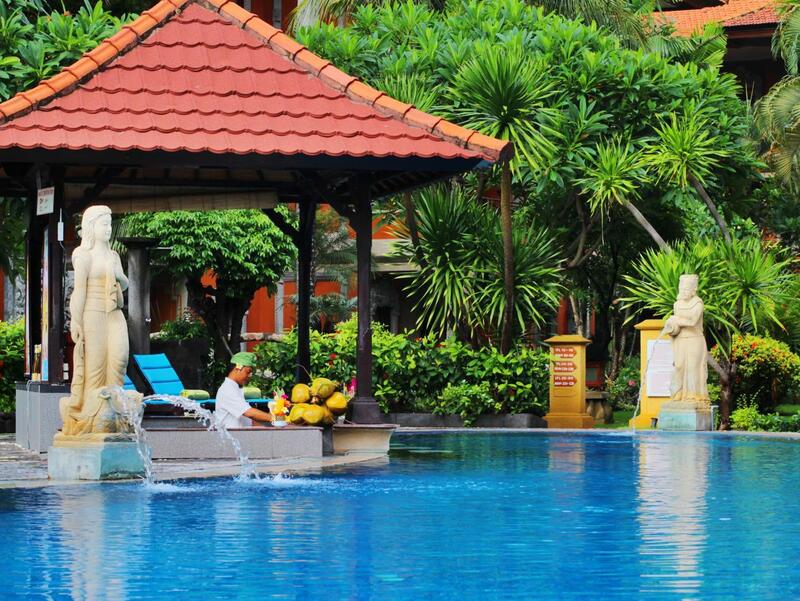 "Manager Dewi and her staff are very professional Value for money,clean,everything you need for a great holiday." "The staff and the facilities were fantastic will definately book again"
"Good :- nice and peaceful." 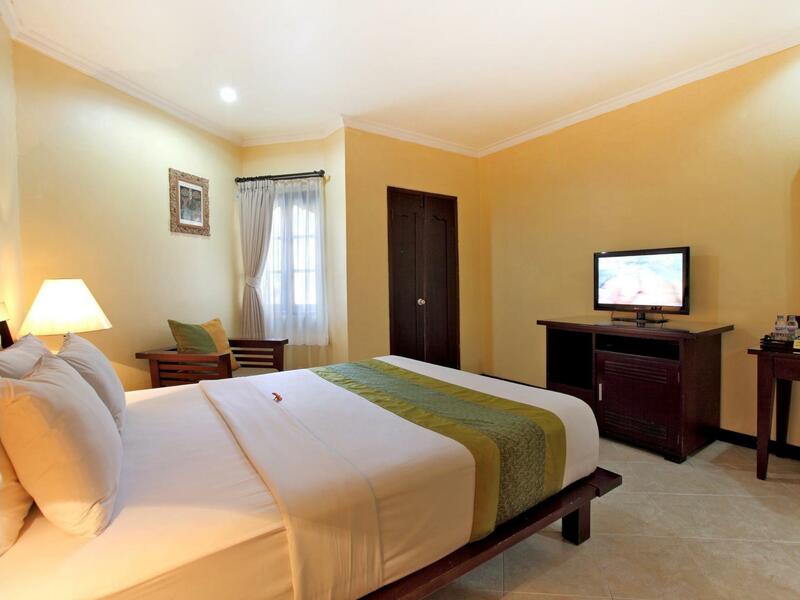 The Adi Dharma Hotel is set in a secluded garden enclave on bustling Legian Street, 15 minutes from the airport and walking distance to shops, restaurants, galleries, entertainment, and the famous Kuta Beach. 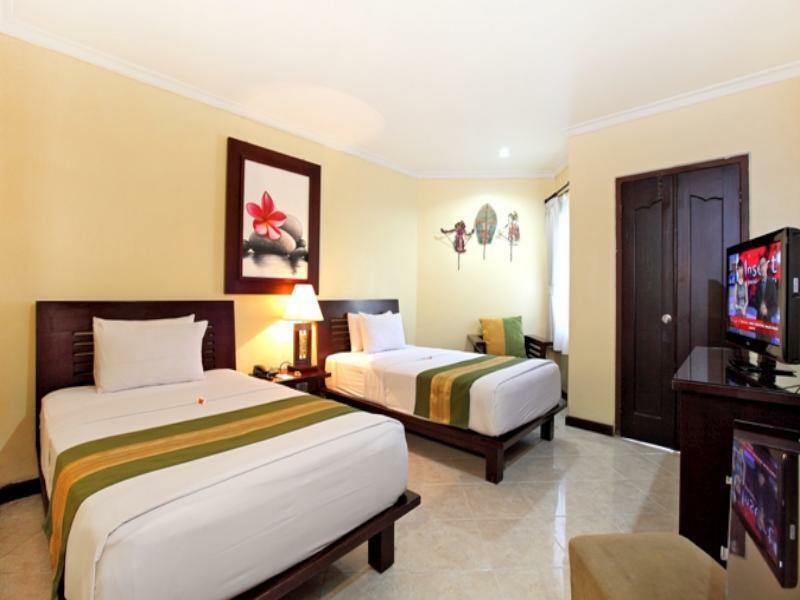 Facilities in this 3-star, low-rise property, which has a quiet and relaxed atmosphere, include a swimming pool, sundeck, 24-hour restaurant serving Western and Indonesian cuisine, meditation hall, and regular cultural performances of Balinese dance and music. 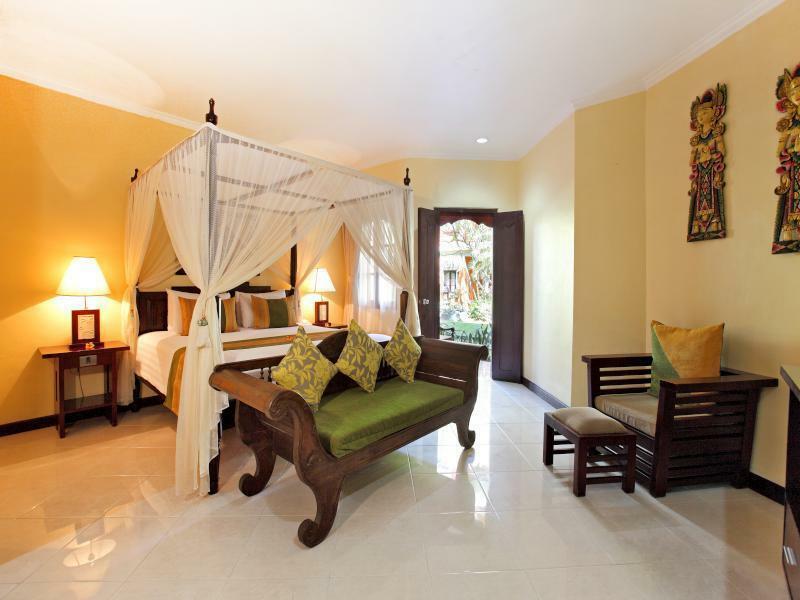 Comfortable and basic rooms, each with a private balcony or terrace, overlook the pool and tropical gardens. 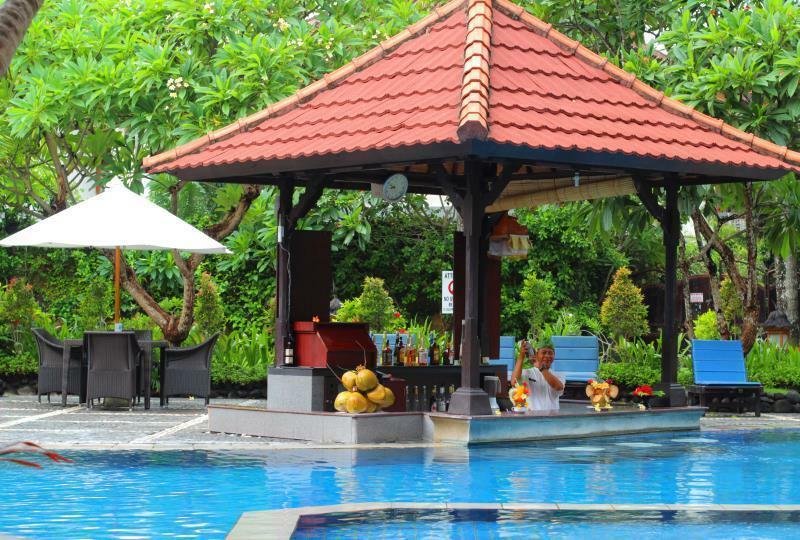 "Beautiful smiling staff, stunning immaculate pool and garden..."
its very well hidden inside busy kuta town, walking distance to kuta beach and nearby restaurant. Hotel staff are very welcoming, morning breakfast selection is very well complete. Just the room facility seem bit old but its working. Beautiful smiling staff, stunning immaculate pool and gardens, excellent location, have stayed countless times and always look forward to my stay. Only criticism is the breakfast needs to be improved. The fruit and coffee are great, but unless you like pancakes and carbs it is limited. Everything else is perfect. good :- nice and peaceful. great garden and pool layout. 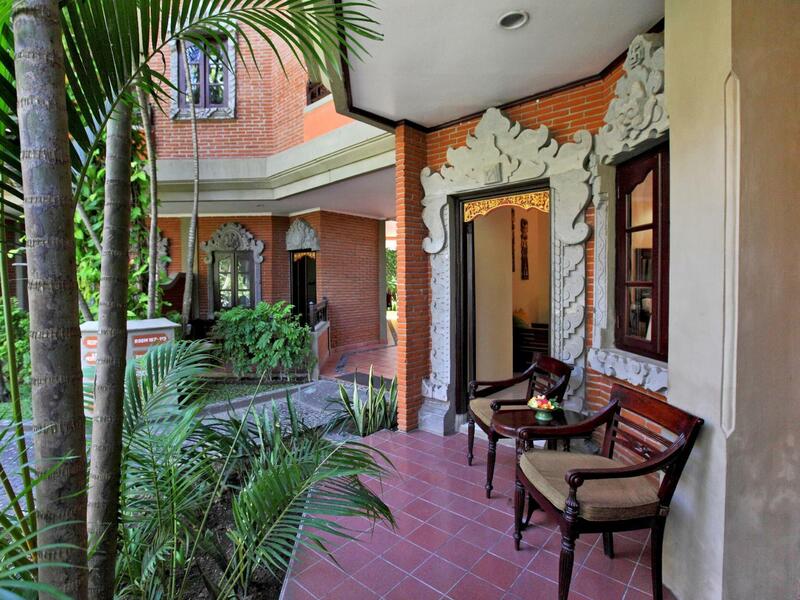 able to feel Balinese architecture design.. first class customer services. some of the staff been there more then 20 year and they are customer oriented bad:- need more facility upgrade work. air-conditioned is old and stop working on 2nd night. it's still not cold enough after they service it. extra bed faulty. Great atmosphere, spacious rooms, relatively comfortable beds, beautiful gardens and stunning staff who are immaculately dressed and always smiling. Lousy breakfast and coffee, this is the only criticism that l have. I have stayed here many times. The restaurants and eateries are near the hotel but it is a very far from the Kuta beach although the distance stated is 660m. My family took about 15 mins to walk on the narrow path to the Kuta beach, amid the cars and motorcyclists. Other than that, the hotel is fine. we were always greeted with a warm smile from the staff, the second we walked in. everyone is so nice! the room was great! we were on the 3rd floor. the bed was big and comfy, AC and wifi worked excellent. breakfast is a huge buffet with many choices! 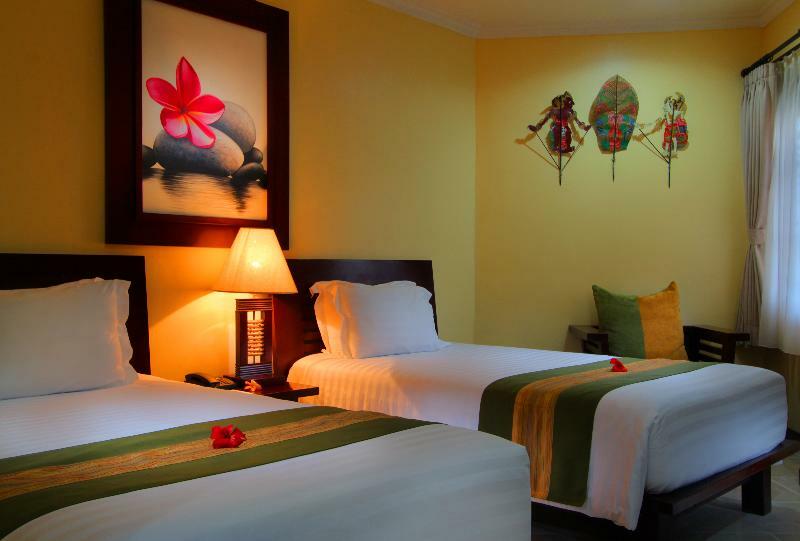 this hotel is tucked away in the busy part of Kuta, yet it is so quiet! 15 minute walk to Kuta beach. so many restaurants, shops and spas just seconds away. we loved it here and will definitely be back! The hotel was a really nice place. 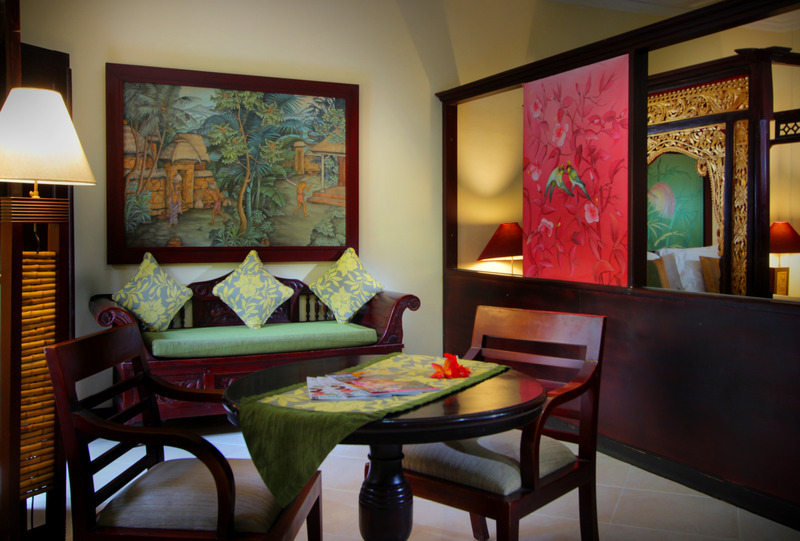 The staff was friendly and helpful, and its a 10-15 mins walk to the beach. though the streets leading to the hotel is only able to cater for one car size, meaning that when there are cars coming from both directions....... there would be a short jam.... but the drivers in Bali are accustomed to this kind of situations, so they maneuver well. the rooms are also built so that every room can have a view of the pool which is really nice. Breakfast was nice too, with different side dishes every morning. there are plenty of shops in the vicinity too for lunch and dinner and shopping. Really a gem of a place, can't say a bad thing about them. Great swimming pool and garden, comfy room and bad, very quiet even if its close to the noisy Legion street. Buffet breakfast was good, and the staff always greeting you with a smile is really appreciated. Cool pool bar as well! Courteous staff, nice location and affordable price. What else you want for stay. Everything about this hotel is very good. I love the adi dharma.. This is the 2nd time I've been here and totally worth the 5 stars HANDS DOWN...Everything they did was amazing! Staff were accommodating and so lovely, the rooms were extremely clean and the price was out of this world...Location was so close to everything with privacy and the pool was fabulous...extremely impressed with the Adi Dharma, you will be too!!! Set in of the gang. Lovely old style hotel. Reception and restaurant area very clean and staff very friendly. We had ground floor at the back of hotel. Very clean and comfortable Did ask for topper for bed as was hard. Shower over bath. Also the toilet was very low. Pool area a bit small but well used by guests. Over all a nice quiet place for holiday. Pros- cheap, bar in pool, great air con, comfy bed, yummy breakfast (bacon is amazing! ), free transport throughout day to Kuta, lovely staff and great close shops! Cons- room could be a little cleaner and please someone tell them about netted food covers! Flys in the fruit and veg every morning. The people who work at Adi Dharma are very nice, very friendly, and fantastic service. The driver named "Komang Merta" is the best who speaks English very well and have wise knowledge about Bali included the attractions above and beyond. There is a SPA & Massage which I highly recommended and the SPA's manager "ANI" is its asset, very friendly, experienced, and always willing to help or just to have a chat . The pool is lovely, so also the surroundings. We will definitely go back to Adi Dharma when we come back to Bali. Thanks to all staff and the excellent service that they provided us.